Buried treasure in South Dakota does exist, and there is lots of it. If you ever dreamed of searching for treasure, now is the time to begin. You can find one of the treasures listed below. 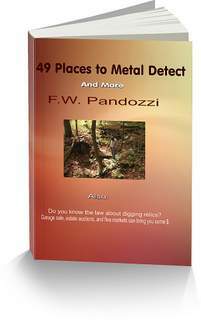 But it will take more research, and if you do not already own one, you’ll need a metal detector. More on this in a moment. South Dakota is noted for it’s ghost towns and gold mines, there are stories of outlaw caches, and personal family treasures buried in remote places. The key to finding any treasure is knowing as much as you can about that treasure. 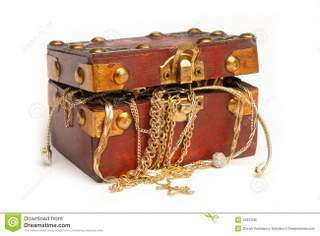 Researching the following stories, or any buried treasure story is critical to the success of locating a treasure. Research the stories below further. Visit the historical societies in the areas where you want to search. Use the Internet to visit the National Archives. And ask questions of any “old timers” living in the areas around the sites you want to search. Many times these older folks are a wealth of information regarding stories about lost treasures. You have to act like a detective trying to solve a crime. The more information you have, the better your chances of locating that buried treasure. When searching for buried treasure in South Dakota, you should also have a metal detector. If you do not own one, then purchase a good, used model from a reputable manufacturer. You can also buy a new detector for between $350 and $450. You don’t have to spend lot’s of money on a new model. Forget the bells and whistles that often come with the high end models, they can complicate the learning curve on how to use a metal detector. Just read the owners manual, and practice using your detector. That’s the best way to understand how to use it properly. Here are seven areas to begin your search for buried treasure in South Dakota. Gray Foot the Indian, in 1862, stole $56,000 in gold coins from a bank in Minnesota. He buried the money between two willow trees near the east bank of Long Lake, just east of Lake City. The coins were said to be buried inside a flour sack. The Bear Mountain Treasure - Somewhere on the west side of this mountain may be a treasure in gold worth more than $1 million. In 1879 two prospectors buried their gold strike near their cabin. However, outlaws heard of the strike and killed the two men before the whereabouts of the treasure was disclosed. A Jessie James gang member supposedly buried a treasure near Garretson. There is not much information regarding this treasure. You’ll need to do lot’s of research on this one. On the shore of Hat Creek is a chest of gold and silver coins taken in a train robbery. The treasure was buried just outside of Rumford. A large stagecoach robbery took place in 1878. Outlaws stole $400,000 in gold and bullion then buried the treasure near the area of Canyon Spring and Horsehead Creek, in Wind Cave National Park. The outlaws were captured and hanged. They never revealed the exact location. Here are two gold mines. Be sure to get permission from the property owners before attempting to search these, as well as any of the treasures listed on this page. The Broken Boot Gold Mine - this gold mine is located west and just outside the town of Deadwood. It was in operation from 1878 to 1904 . Using a metal detector around the area may result in finding some dropped gold nuggets. If you are going to spend a lot of time searching around gold mines, it would be a good idea to invest in a quality, gold, metal detector. Homestake Gold Mine - located on routes 14A and 85, near Lead. This old mine dates back to the era of the first gold discovery in the area. Again, use a metal detector. Are You Interested In A Metal Detector Or Accessories? A metal detector can help you locate buried treasure in South Dakota. Good luck! And have fun in your search for buried treasure in South Dakota. Anytime you are going on to private property be sure to ask for permission. If you are going on to State or Federal lands to search for buried treasure in South Dakota, you should know the laws of that State. Buried treasure in South Dakota may be located in ghost towns.